Today, let’s take a look at my absolute favorite bag: the Almighty Celine Trio in the small size. Out of all the bags I have, I must say that this is my absolute favorite bag! It’s the most efficient, versatile, and classic. 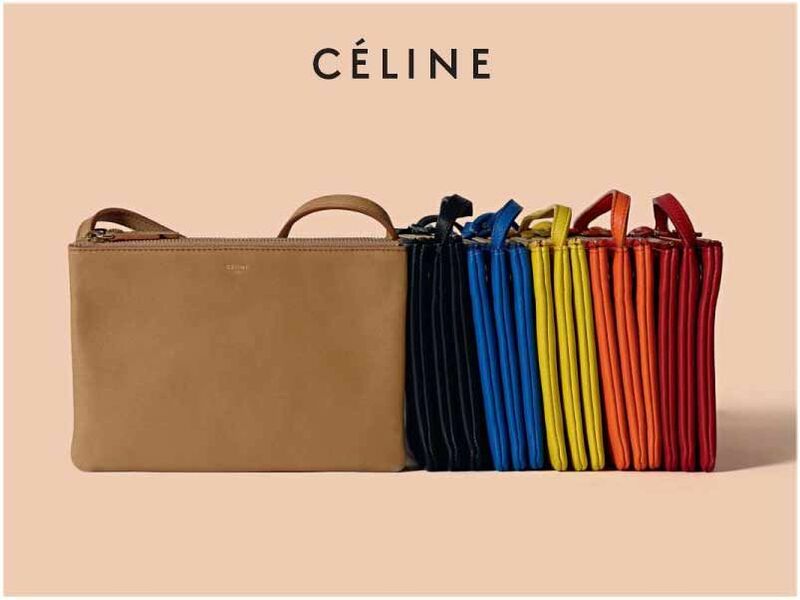 Sure there are other bags that fit the description above, but the Celine Trio wins hands down. It’s no wonder that this bag is so coveted and so many people enjoy it! Especially living life in the big apple! You can do a lot of exploring in the city, so you need to have something handy and light weight. I’ve had this bag for roughly a year now and it’s always a go-to staple for me. The Celine Trio is a simple and minimal bag with three pouches. The middle pouch has a long leather strap attached to it and the front and back pouch are detachable from the middle pouch. The only logo you will find on it is the small printed “CELINE PARIS” on the front pouch, with “Made in Italy” embossed on an inner tag. The classic material is a soft-smooth lambskin that feels absolutely luxurious to touch. 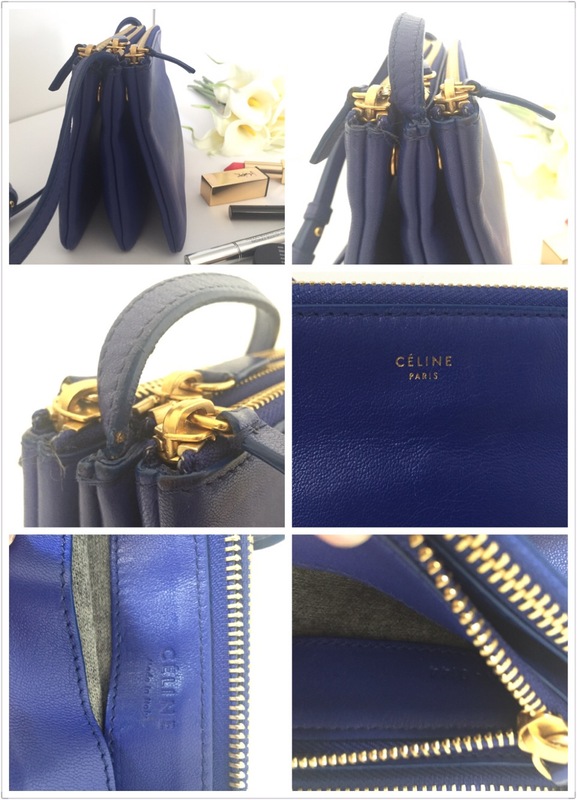 However, in recent years, Celine has released this bag in many different types of leather depending on the season’s collection. It now comes in diamond jacquard, goatskin, shiny goatskin, lambskin, or laminated lambskin. The one I have and will be reviewing is the classic lambskin. Many people question the fragility of this bag since it is in lambskin. I find that, the lambskin is actually much more robust than one would think and it ages exceptionally well. When I first got my hands on this bag, I was always extra careful with it because I didn’t want to crease the leather or get any scratches on it. New York is pretty crowded so if anyone walked too close, they may easily rub against my bag. Now, while the lambskin material is less of a concern, the strap is one con you can not omit. Or you may even say it’s the only “soft spot” of the Celine Trio. In fact, before going through with the purchase, this was actually my one and only concern. See now, the strap is a leather strap stitched onto the middle pouch with the edges of the strap held together by a coat of colored glue. This is where the fragility of the bag kicks in. Because there is no hardware for the strap, it is not ideal to carry a lot of weight with this bag. This obstructs how much you can put inside this bag. The strap is brittle and in time, you will see the glue on the edges cracking. There are even horror stories of the strap breaking! I’ve spoke to a couple of Celine S.A’s about it and you can read my story from last week (read more about Celine’s repair and services here). But hey, on the upside, no hardware means a lighter weight! However, I would advise against carrying too much in this bag if you want it to last a long time. This is also why I mentioned earlier, that the large would not last as long as the small. They have the same type of strap, so even if the large fits bigger items, it’ll be heavier as well and the strap would not hold up with the weight and will be more prone to breakage. Although the Trio has such a deadly trait, it’s extreme versatility makes up for it. This bag can be doubled as a clutch as well by removing the front and back pouch and simply snapping it together! Now you have a “duo-clutch”. This is perfect for a night out or when you just want to be on the go for a short errand. Or maybe, you just want that clutch look on a relaxed Sunday without having to buy another piece. In addition, they have an array of colors to choose from! The possibilities are endless! You can also buy two or more contrasting colors to mix & match them for some bi-color or even tri-color fun. They are just so fun to collect! I am aiming to get a second one as soon as possible, albeit having a super long bucket list of bags I need to have in my collection! I also find the bag a stylish fit to any season and any piece in my wardrobe. It’s just so classic! No matter what color you get it in, it will be ideal for use all through out the year! It’s something that will make your outfit pop even though it’s so simple and so effortless at that too. It doesn’t take much to have it compliment your outfit. Just simply, grab and go. It’s size is also perfect for traveling and the three compartments allow you to efficiently store and organize your travel documents and more. It’s easy to sling on and a small item for you to have, to bypass it as a “carry on”. The weight is light and perfect for long walks while sight seeing, as it won’t weigh your shoulders down. Now, the retail price is $1050 USD as of April 2017 for the small and $1200 USD for the large. So it’s really not that big of a difference, so feel free to take your pick. This is the cheapest bag you can buy at Celine and I’d say it’s a Classic “IT” Bag as well. 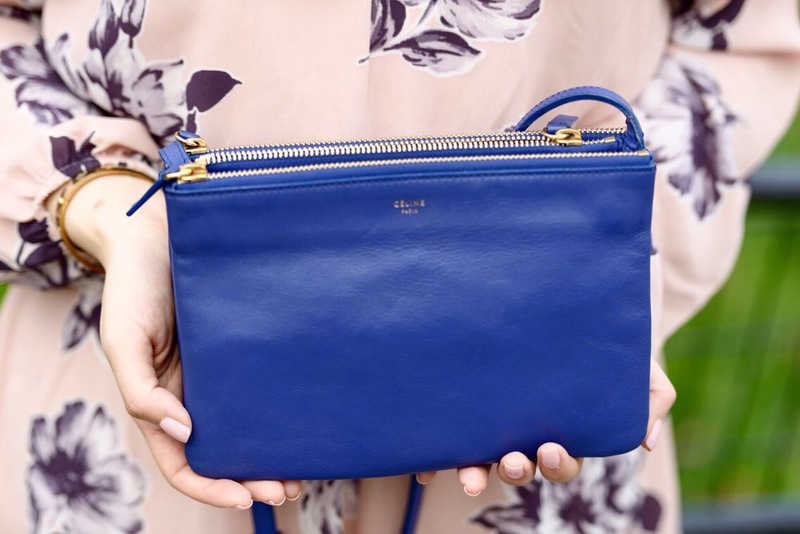 It also has the benefits of two bags – being a cross body and a clutch. So I’d say the price is on point for the quality of the material used, workmanship, and brand name. Taking a close look at the bag, I doubt the cross body would last a life time, given how brittle the strap is. But the it would definitely hold up as a clutch. Here’s a final outline of the Pros and Cons of this bag. Easy to match with anything. Just grab & go and you’ll look effortlessly chic. Many colors and materials to choose from. Versatile! Acts as a cross body and clutch for the price of one! Small and large are both good size for traveling and every day use. Terrific quality and workmanship for an entry level price at designer bags. Fragile strap that’s prone to breakage. The cross body way of wear will likely not last a life time. It’s pretty clear that the pros outweighs the con. For me, I think even if the strap snaps, I’d still have me a pretty clutch and if I collect more colors I can always use the pouches with another “middle section” of another trio. Yes, this means I would have to invest and buy more Trios, but I sincerely think it’s worth it. Even though that is the case, the price is also not to be scoffed at. I would need to take some proper management of funds to save for it. So what do you think of the Trio? Is it worth it albeit the one deadly con? Or are you also able to overlook it for the sake of all the pros of this bag? Would you want a small or a large? Write back and let me know! PS: This is part one of the Celine Trio! Stay tuned for my next post “CELINE SMALL TRIO: What Fits.” next week! Next Post CELINE SMALL TRIO: What Fits. This bag is great! Love the color you picked! OMG I want one of these so bad!! I want one in each color!! Very cute. However if I’m going to pay that much for a purse it better be able to last forever, the idea of the strap breaking or cracking which I see on cheap purses is a deal breaker for me. Great review. I love all the colors! But, the strap breaking, or possibly breaking, that wouldn’t be good. Especially for a purse! First, I loveee your name…Second, that bag is a gorgeous color! And where is your romper from? It’s so cute! That is so cute! I could match that with just about anything in my closet! What a beautiful bag! It looks like it could compliment a lot of different looks from super casual to an elegant night out! I am in love with the color of this bag. I will have to get one to add to my summer wardrobe. That is such an adorable bag! I love the navy for Spring. It does look like it was a cute bag. I definitely like the small one better than the large one. That is such a lovely looking bag! 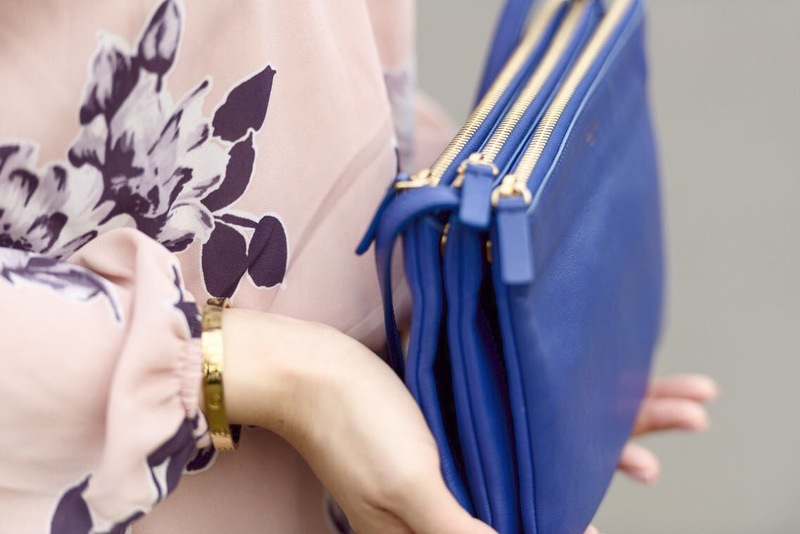 I confess I never use handbags any more – I really ought to remedy this! I love the colour of this bag. I just got a new Tory Burch Robinson bag and I am on the lookout for something smaller for day-to-day and this is so cute! Looks nice. Very pretty. You’re right, it does fit your frame well. The colour options are pretty fun too. This is a great looking bag. I do enjoy the color. I always like bags that pop. This is a great bag, but I agree, the idea of the strap breaking concerns me. But then, I also prefer a much smaller purse when I’m traveling, so I might be able to prolong it’s life if I only use it cross body when I’m out of town and as a clutch otherwise. Pretty bag love the color. It has 3 compartments to that is perfect. I love this purse, the color is gorgeous is not just a regular blue it add so much color to anything especially with what you are wearing. Oh that purse is stunning! I would love it in a tanish color! It is big enough for all my niceties. I love navy for any season. It’s such a lovely colour, and goes with so many things. This is a great looking bag. LOVE that purse – especially the color. However, EVEN THOUGH it is on the smaller side, I bet you still lose things in it all the time, LOL! really colourful and pretty bags! This is definitely a cute bag and I like the trio aspect of it – I’m in love with versatility right now in my clothes, my shoes … my bags. That being said, I’m also loving DIY and being able to personalize things – so this concept just totally hit my list of “must-try” projects. This is such a cute purse. I can imagine it’ll be so easy to pair with any outfit. Summer essential. I love the colour of this bag! What I love about it as well is that you get a lot of wears. The durability is great and that’s another reason why I love luxury items. It doesn’t even look as though you’ve been using it for a month, far less a year. Although it appears small I like that it has 3 zip compartments. A bag like this would suit me well because I would be able to use it for many occasions. This is such a gorgeous bag. It’s classy and I personally, just love lamb skin, have a few leather jackets in it. You look gorgeous! What a gorgeous shade of blue! I love how you styled it with both outfits. Love the bag, it is simple and elegant just like how I like my bags. But I guess the price is on the high side for a small bag like this! Such a cute little bag. Love it! I love Celine Trio!! Even though the design is simple, they are always eye catching. The blue you’ve got is simply stunning! This bag is super cute! I love a good crossbody that can double as a clutch. Gorgeous color! Such a cute bag! Love the color! What a cute handbag, I’ve been looking for some new ones for this summer. I love the pop of blue. I’m going to check this brand out. It does look like it won’t last if you put heavy items, it’s quite stylish though so it’s worth getting. I love the colors, very versatile! Its a gorgeous bag and an even gorgeous colour. I would love it in a creamy tan colour. A lovely post with a great review! I love the colour you have and it really is such a versatile and great bag! I am only 5 feet tall, so your comment that you are 5’2 and prefer smaller purses was interesting to me! I only use large bags because I am constantly carrying around so much junk. Maybe I’ll have to try a smaller size and see if it frames me better- you look great! What a gorgeous colour!! Such a cute bag but agree the strap breaking would be a concern as i always have far to much stuff in my bag. 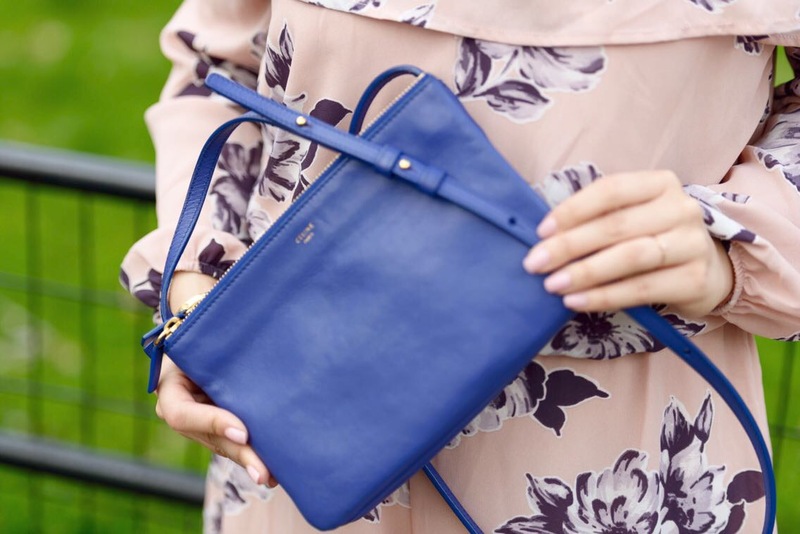 Such a lush statement bag though and great review! Wow I love that blue! So vibrant! Definitely a statement piece color! And i don’t have one so … definitely getting it now! Thanks! I think my mom recommended me about this bag last time. I love the color, but I don’t really like how there’s a lot of pockets (haha, no offense) I just don’t like carrying a lot of things. But it’s cute! Such a lovely bag! The color is just perfect for Spring! This bag is absolutely gorgeous and looks super functional! Thanks so much for sharing! What a beautiful bag. That blue color looks really good with your outfit. Such a cute design, love Celine bags. The blue you styled is perfect for summer and the grey would go great with spring pink. This is a really classy and simple clutch/purse. I love the three pouches as options, and the various colors are fantastic. Blue is my favorite! It’s cute. For me, traveling as much as I do, a sturdy cross-body strap is a must. But I can see how this makes a nice clutch, especially with the color choices.